André Matsangaissa (also spelled Matsangaiza) (1950? – 17 October 1979) was a Mozambican anti-communist rebel and the first leader of the Rhodesian-backed Mozambican National Resistance (RENAMO). Mozambique, officially the Republic of Mozambique, is a country located in Southeast Africa bordered by the Indian Ocean to the east, Tanzania to the north, Malawi and Zambia to the northwest, Zimbabwe to the west, and Eswatini (Swaziland) and South Africa to the southwest. The sovereign state is separated from the Comoros, Mayotte and Madagascar by the Mozambique Channel to the east. The capital of Mozambique is Maputo while Matola is the largest city, being a suburb of Maputo. Rhodesia was a country in southern Africa from 1965 to 1979, equivalent in territory to modern Zimbabwe. Rhodesia was the de facto successor state to the British colony of Southern Rhodesia, which had been self-governing since achieving responsible government in 1923. A landlocked nation, Rhodesia was bordered by South Africa to the south, Bechuanaland to the southwest, Zambia to the northwest, and Mozambique to the east. The Mozambican National Resistance is a militant organization and political movement in Mozambique. Sponsored by the Rhodesian Central Intelligence Organisation (CIO), it was founded in 1975 as part of an anti-communist backlash against the country's ruling FRELIMO party. Born in Gorongosa, Mozambique, Matsangaissa joined FRELIMO in 1972, and after FRELIMO's victory in 1975 he became a quartermaster stationed at Dondo, near Beira. He was punished for theft by being expelled from the Mozambican Army (Forças Armadas de Moçambique, FAM) and was placed in a re-education camp at Gorongosa. He was freed during an attack on the camp by Rhodesian forces and was taken to Rhodesia. In 1977 Matsangaissa was appointed by the Rhodesians as leader of the Mozambican National Resistance (RENAMO) in an effort to indigenize the rebel group. Matsangaissa died in a 1979 raid against FRELIMO in Sofala Province, Mozambique. Gorongosa is a town and the administrative center of Gorongosa District of Mozambique, situated on the country's main north-south highway. Mount Gorongosa is north of the town, and Gorongosa National Park is a few kilometers east of the town. The Mozambique Liberation Front (FRELIMO), from the Portuguese Frente de Libertação de Moçambique is the dominant political party in Mozambique. Founded in 1962, FRELIMO began as a nationalist movement fighting for the independence of the Portuguese Overseas Province of Mozambique. Independence was achieved in June 1975 after the Carnation Revolution in Lisbon the previous year. At the party's 3rd Congress in February 1977, it became an officially Marxist–Leninist political party. It identified as the Frelimo Party(Partido Frelimo). Dondo is a city and seat of Dondo District of Sofala Province in Mozambique. A roundabout is a type of circular intersection or junction in which road traffic is permitted to flow in one direction around a central island, and priority is given to traffic already on the junction. Beira is the fourth largest city in Mozambique. It lies in the central region of the country in Sofala Province, where the Pungwe River meets the Indian Ocean. Beira had a population of 397,368 in 1997, which grew to 533,825 in 2017. It holds the regionally significant Port of Beira which acts as a gateway for both the central interior portion of the country as well as the land-locked nations of Zimbabwe, Zambia and Malawi. Beira was originally developed by the Portuguese Mozambique Company in the 19th century, and directly developed by the Portuguese colonial government from 1947 until Mozambique gained its independence from Portugal in 1975. Azevedo, Mario; Nnadozie, Emmanuel & Mbuia, Tomé (2003). Historical Dictionary of Mozambique (2nd ed.). Lanham, Maryland: Scarecrow Press. ISBN 978-0-8108-3792-8. 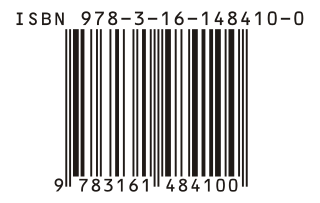 In computing, a Digital Object Identifier or DOI is a persistent identifier or handle used to uniquely identify objects, standardized by the International Organization for Standardization (ISO). An implementation of the Handle System, DOIs are in wide use mainly to identify academic, professional, and government information, such as journal articles, research reports and data sets, and official publications though they also have been used to identify other types of information resources, such as commercial videos. Mozambique was a Portuguese colony, overseas province and later a member state of Portugal. It gained independence from Portugal in 1975. Politics of Mozambique takes place in a framework of a semi-presidential representative democratic republic, whereby the President of Mozambique is head of state and head of government of a multi-party system. Executive power is exercised by the government. Legislative power is vested in both the government and the Assembly of the Republic. The Economist Intelligence Unit has rated Mozambique as "hybrid regime" in 2016. The Zimbabwe Defence Forces (ZDF) are composed of the Zimbabwe National Army (ZNA) and the Air Force of Zimbabwe (AFZ). As a landlocked country, Zimbabwe has no navy. The most senior commander of the ZDF is General Philip Valerio Sibanda. 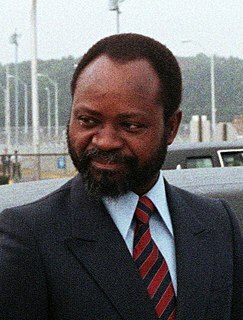 Samora Moisés Machel was a Mozambican military commander, politician and revolutionary. A socialist in the tradition of Marxism–Leninism, he served as the first President of Mozambique from the country's independence in 1975. Machel died in office in 1986 when his presidential aircraft crashed near the Mozambique-South Africa border. Elections in Mozambique gives information on election and election results in Mozambique. Afonso Marceta Macacho Dhlakama was a Mozambican politician and the leader of RENAMO, an anti-communist guerrilla movement that fought the FRELIMO government in the Mozambican Civil War before signing a peace agreement and becoming an opposition political party in the early 1990s. Dhlakama was born in Mangunde, Sofala Province. The Rome General Peace Accords (Português): Acordo Geral de Paz ) between the Mozambican Civil War parties, the FRELIMO (government) and the RENAMO (rebels), put an end to the Mozambique Civil War. It was signed on October 4, 1992. Negotiations preceding in began in July 1990. They were brokered by a team of four mediators, two members of the Community of Sant'Egidio, Andrea Riccardi and Matteo Zuppi, as well as Bishop Jaime Gonçalves and Italian government representative Mario Raffaelli. The delegation of the Frelimo was headed by Armando Guebuza, the delegation of the Renamo was headed by Raul Domingos. The accords were then signed by the then president of Mozambique, Frelimo leader Joaquim Chissano and by the leader of the Renamo, Afonso Dhlakama. The Mozambican Civil War was a civil war fought in Mozambique from 1977 to 1992. Like many regional African conflicts during the late twentieth century, the Mozambican Civil War possessed local dynamics but was also exacerbated greatly by the polarizing effects of Cold War politics. The war was fought between Mozambique's ruling Marxist Front for the Liberation of Mozambique (FRELIMO) and anti-communist insurgent forces of the Mozambican National Resistance (RENAMO). The Grande Hotel Beira was a luxury hotel in Beira, Mozambique. It was opened in 1954 and operated until 1974, when it was closed due to lack of guests. The building was used as a military base in the Mozambican Civil War, and it is currently home to over 3500 squatters. Cobue is a small lake-side town in Niassa Province, in north-west Mozambique. It is located on the shore of Lake Niassa. 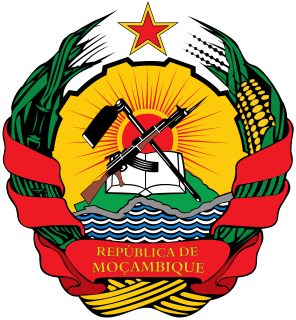 The People's Republic of Mozambique was a communist state that existed in Mozambique from 1975 to 1990. Uria Timoteo Simango was a Mozambican Presbyterian minister and prominent leader of the Mozambique Liberation Front (FRELIMO) during the liberation struggle against Portuguese colonial rule. His precise date of death is unknown as he was extrajudicially executed by the post-independence government of Samora Machel. General elections to elect the president, Assembly of the Republic, and Provincial Assemblies was held in Mozambique on 28 October 2009. Incumbent President Armando Guebuza ran for re-election as the FRELIMO candidate; he was challenged by opposition leader Afonso Dhlakama, who had stood as the RENAMO candidate in every presidential election since 1994. Also standing were Daviz Simango, the Mayor of Beira, who was a RENAMO member before founding his own party, the Democratic Movement of Mozambique (MDM), earlier in 2009. The present honours and decorations were passed by the Mozambican Assembly of the Republic in March 2011. It consists of two honorary titles, five Orders and some medals. The awards are managed by the National Commission on Honours and Decorations. The President of Mozambique will present the awards after recommendation by the Assembly, the provincial and central governments, the armed forces and the educational establishment. General elections were held in Mozambique on 15 October 2014. Filipe Nyusi, the candidate of the ruling FRELIMO, was elected as President, and FRELIMO retained its parliamentary majority. The concurrent RENAMO insurgency is an ongoing guerrilla campaign by militants of the RENAMO party in Mozambique. The insurgency is widely considered to be an aftershock of the Mozambican Civil War; it resulted in renewed tensions between RENAMO and Mozambique's ruling FRELIMO coalition over charges of state corruption and the disputed results of 2014 general elections. Ivone Soares is a Mozambican politician. She is the deputy leader of Mozambican National Resistance and leads its parliamentary party in the Assembly of the Republic. Soares is also a member of the Pan-African Parliament where she is vice-president of youth. She was the target of an attempted assassination in September 2016.